Next week, on Wed., Oct. 11, Barnabas Community will have a booth at Lincoln's annual Project Homeless Connect. Project Homeless Connect Lincoln is a one-day, one-stop event held at Pinnacle Bank Arena where individuals and families who are homeless are able to receive a wide variety of immediate, on-site services and support for unmet needs. Please pray for all those that attend Project Homeless Connect next week, that they may be matched with the services and organizations they need. 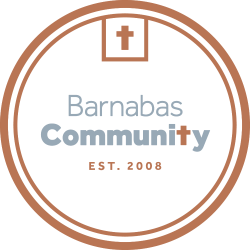 And pray for all that might learn about Barnabas Community for the first time, that they might find encouragement and hope in the peace and love of Christ.